Not really a tutorial, just tips and tricks. I used Memu as my modding workspace and it has saved me a lot of time. Please note, Memu have blocked APK overwriting while install, means you will get a message "The app already installed" if you try to install existing APK with same version via drag and drop or Memu APK Installer. However you can still install and overwrite APK inside the Android OS. I have contacted them regarding overwrite blocking. They told me they are working with it but they haven't. They don't care about it at all. It's better to use shared folder. - GameGuardian: To dump memory (file decrypting). - Your computer must support 64-bit and have 64-bit OS installed. - "Lib|arm|x86" folder: To mod .so files. You need to disable the signature check using Lucky Patcher. Keep APK unsigned. 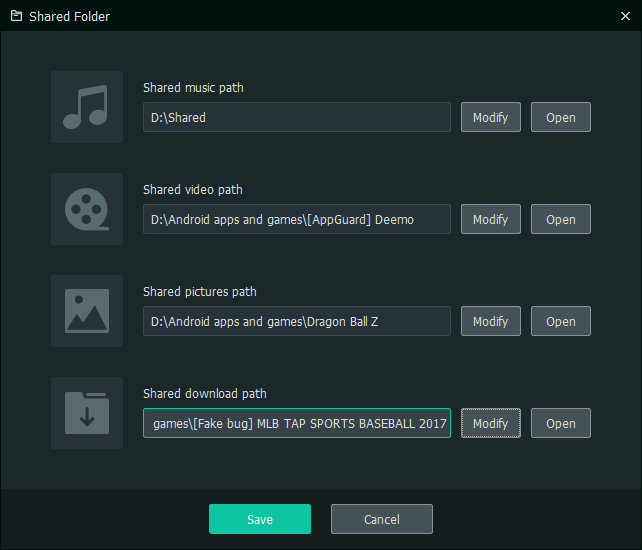 Open the modded APK from shared folder and install it straight away. There is no need to uninstall APK and install signed APK to test. You can create an instance and test signed APK. 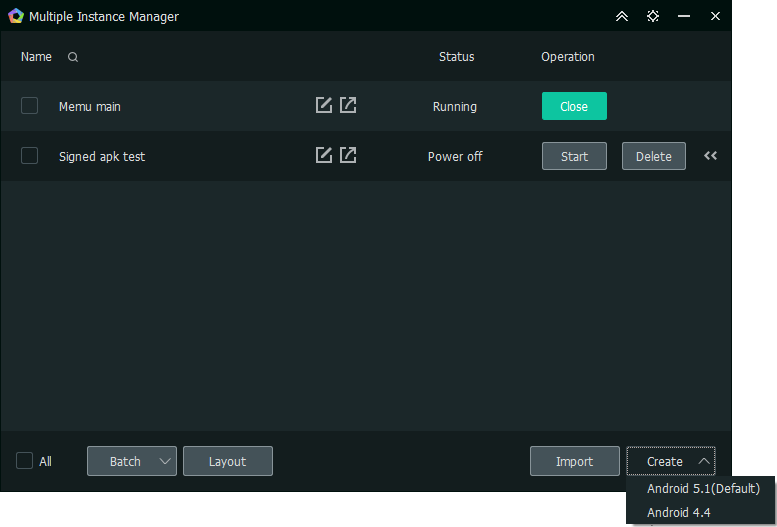 Open Multiple Instance Manager and create a new instance, 5.1.1 or 4.4.4, it's up to you. Root mode should be disbled in settings. 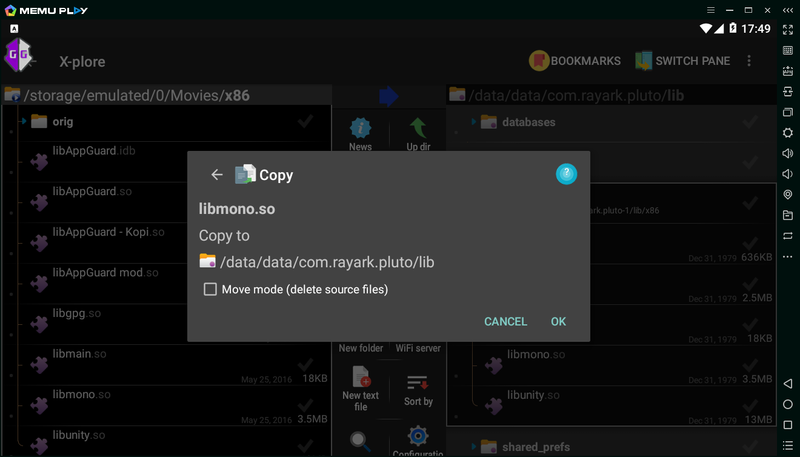 Then drag and drop signed APK to install or setup shared folder to install APK and copy OBB. I'd recommended Xplore app to do quick testing of .so file. 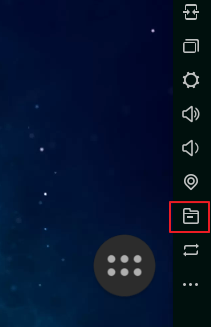 On left pane, navigate to your game workspace of your shared folder. On right pane, nativage to /data/data/<package name>/lib. On left pane, copy modded so file. See? you work and test your mod way faster than your real device.